This issue is about the Future of School Libraries, yet, we cannot claim to know the future. So, editing this issue has been an interesting journey to imagine the possible and stretch ideas of the futurist mindset with some inspiring doers and thinkers. An active futurist mindset stimulates our brains to consider possibility and opportunity rather than obstacles. Thanks go out to the authors who joined me on the journey. I was inspired by Mark Ray’s TEDxElCajon talk. Mark reminded me that, as Simone Sinek noted in a previous TED talk, “People don’t buy what you do…they buy why you do it.” I like the idea that we do it for every individual kid. I invite you to get into the spirit of Mark’s thinking. Craig Johnson, the superintendent of the very forward-thinking American School of Bombay, and his team describe the decentralized iCommons concept that keeps his K-12 international school on the cutting edge. Every so often I check out what Craig is up to. He and his staff are a font of inspiration. I began reading Library of the Future — Read for Later blog curated by Miguel Figueroa, the director of ALA’s Center for the Future of Libraries, as soon as it was launched. Miguel taught me how to think like a futurist. I encourage you read his take on the futurist mindset. Lee Watanabe Crockett, author of Literacy Is Not Enough, focused my thinking on teaching processes to embed 21st-century skills across content areas. Now I’m moving into the future by teaching the processes to teachers so every student is touched by them. Every day, I am inspired by the teachers I work with. Kristal Jaaskelainen and Musetta Deneen are dedicated to the students that our schools often discard as troublemakers. They have come to value collaboration with their school librarian in a way that reminds us every student can learn and has value, and that our work is urgently important to each student. Speaking of inspiration, Mary Keeling, director of Libraries in Newport News, VA, takes us on a tour through the new AASL Standards from the point of view of burgeoning urban schools. She frames the work of school librarians in terms of cultural competence and culturally relevant instruction. An expansive and respectful view of those we are charged to educate is integral to successful schools of the future. We know from experience that school libraries work! Marcia Mardis, Sue Kimmel, and Laura Pasquini are adding important new data to support the idea that students thrive when they have access to qualified school librarians and school library programs. They detail their study of causality that is aimed at establishing the foundation for comparison and groundwork for causal research. Keep an eye out for the reports on the group’s work. Yes, the future is now. We live in the crucial moment of choice–do we maintain our well-trodden paths, or do we expand to recognize what students need from their education for their future? This is a choice between irrelevancy and leadership. We, the thinkers and the doers represented in this issue, challenge you to embrace leadership and invent the future. Enjoy this good read. AASL member Sara Duvall is chair of the 6-12 Library Program Department, Ann Arbor (MI) Public Schools, and is an enthusiastic supporter of ALA’s Center for the Future of Libraries. 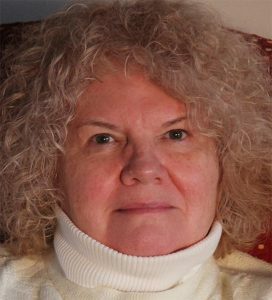 In 2011 she and two colleagues (Peter Pasque and Kristal Jaaskelainen) won the Gale/Cengage TEAMS Award for an ongoing collaborative project to integrate Google Tools into instruction and learning at Skyline High School in Ann Arbor. She blogs at www.a2saraduvall.com. Why Do We Need Future Ready Librarians? That Kid. 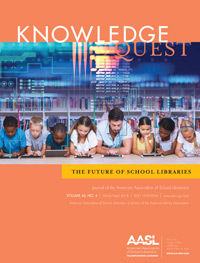 In the current issue of KQ, it is apparent that one could not predict the future of school libraries; fortunately, as school librarians and those who prepare school library candidates to lead school libraries into the future, we should not lose sight of the current state of school libraries nor school librarians assigned to administer them. The issue was filled with ways to make your school library (and librarian) more technology rich. There was little mention of how school libraries and school librarians should ensure that quality instruction, needed to improve student achievement for all learners, remains a primary goal and concern. All students: not some. Unless school librarians are trained and accepting of their role as an instructional leader in school libraries, I fear that more and more school libraries will cease to exist. Classroom teachers need leadership from school librarians that builds/maintains collections, designs learning activities, and can assess both. Why? To increase quality learning experiences for all learners. Some students will benefit from individualized instructional activities. All students benefit from learning experiences in school libraries which support and extend content standards introduced in classrooms. Classroom teachers welcome this type of collaborative support. In addition, it is time for us to stop expecting school libraries/librarians to willing accept more tasks that are best served by: (1) Career and Technical Education educators; (2) Public Librarians; and (3) Technology specialists. I will quickly describe my concerns with each. 1. Career and Technical Education educators hold industry specific credentials using equipment often described in ‘maker spaces’ in school libraries. The expectation that a solely school librarian, who is not a certified career and technical educator, could be expected to compete with these educators is unfair. A ‘maker space’ in a middle or high school library for specialized equipment is unreasonable. overwhelming, and costly. Career and Technical Education programs are very well funded: school libraries, not so much. 2. Public Librarians have a mission to provide programs and services to the public. Tax dollars are used to support the many opportunities for public libraries to reach out to community members. In fact, funds to support public libraries are based upon the number of visits to these facilities. Maker spaces, etc. are excellent ways to ensure that students, parents, and community members attend programs, use resources, and keep budgets growing. This is not the mission of a school library: administration and instruction drive school librarianship. As the visiting editor stated, we do not know the future of school libraries/librarians. Nevertheless, we can affirm that if school librarians are not prepared to design, deliver, and assess quality instructional activities in their school libraries, classroom teachers will continue to be confused by the type of instructional support and resources that school librarians have available to assist them with student achievement goals. If school librarians are never seen teaching, educators may not realize that school librarians, through quality school library programs, help all learners to become: (a) avid readers; (b) critical thinkers; (c) skillful researchers; and (4) ethical users of information. School librarians need the support of all classroom teachers to ensure that school libraries remain viable programs in our schools. Technology tools enhance learning experiences. Quality instructional activities, delivered by certified school librarians, are used to instruct students in the selection of appropriate technology tools to use when demonstrating what they have learned. These are skills 21st century learners will need, no matter what technical tools become available. Finally, researchers, as well as graduate faculty who are responsible for preparing school library candidates, need to look no further than local school districts to see the state of school libraries and librarians. In addition, one needs to look no further than classrooms to see the state of teaching and learning. My research has revealed a very bleak picture of instruction (the lack there of) in school libraries. I enjoyed reading each article. I welcome the challenges made by each contributor to do my part to ensure the future of school libraries is constantly improving.